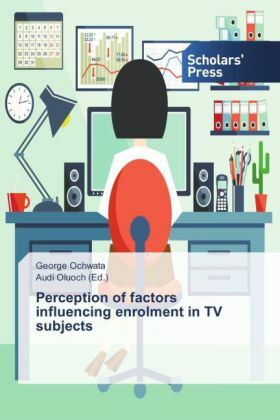 This book presents various perceptions as pertains to factors that influence students' enrolment in Technical and Vocational(TV) subjects in Public Secondary schools in Kenya. It suggest that education or training raises the productivity of individuals by imparting useful knowledge and skills in them making the individuals to be useful and productive members of the society. It will therefore helps individuals and corporate groups to be able to asses the bottlenecks facing efforts to equip the youths with practical skills at the Secondary School level.The TV subjects are crucial because they focus on bringing young people into the mainstream of social and economic activity, needs to utilize the opportunities provided by the subjects and prepare them to be competitive in the labour market.